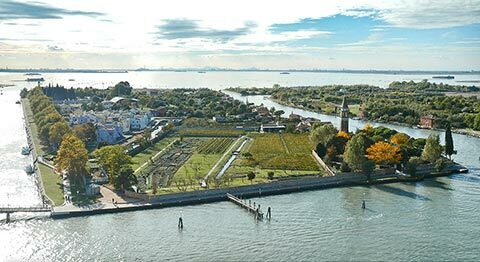 Venetian Lido is a thin island 12 km long, which divides the Lagoon of Venice from the sea; it connects San Nicolò port to Malamocco one, and the island is reachable only by boats and ferry-boat. 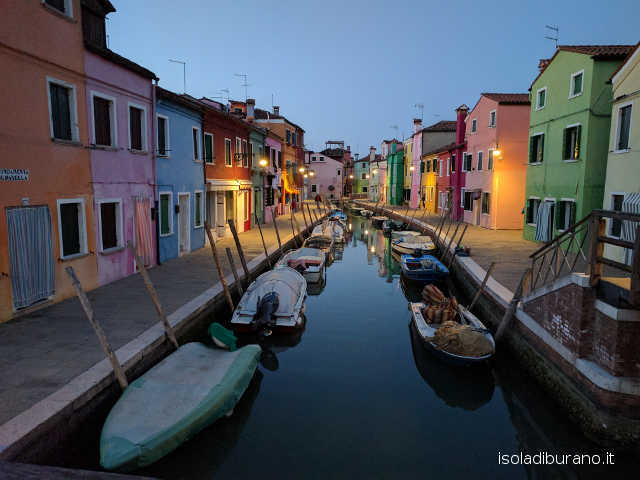 Lido is one of the few Venetian Lagoon island in which you can find driveways. It was already love deeply in 1820: a lot of poets and writers chose this places as destination or dwelling place; whe can remember George Gordon Byron and Thomas Mann. All over the island we can find buildings of the 18th century, like "Murazzi", a work to protect the Lagoon from the Sea. 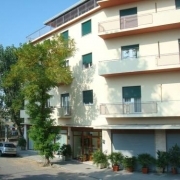 Near Lido's downtown, architecture becomes rich in liberty stile buildings and in green parks, while the large lined with trees street which passes throught the island, from Lagoon to sea, is named "Granviale". The Ancient center of Santa Maria Elisabetta, placed at the end of Granviale, in the seaside, is full of last 18th century buildings now used as hotels. Here you cand find also Santa Maria Elisabetta Church; from it's opposite square, a long avenue called "Riviera" leads to San Nicolò, where it is possible to admire the 17th century reconstructed church: in the ascension day, in this place, the ancient "Serenissima Republic" was celebrating the "Marriage with the Sea", a tradition carried out until today. Interesting is the ancient Jewish Cemetery, not far from the Church and builded in 1389. Across this place, in the beach side, you can find the "Lungomare". It's divided into "Lungomare Marconi" and "Lungomare D'Annunzio" by Granviale, where there is "Piazzale Bucintorno" known as Blue Moon. Both are very striking and they look like big tunnels made of longleaf pines: they cover all the plage, from the Hospital near San Nicolò, up to Murazzi. Lido Beach owes its notoriety to natural fine and golden sand dunes. The water is clean and still thanks to the seawalls, named "pennelli" (in eng. "brushes") which starts from the shore of every private beach. 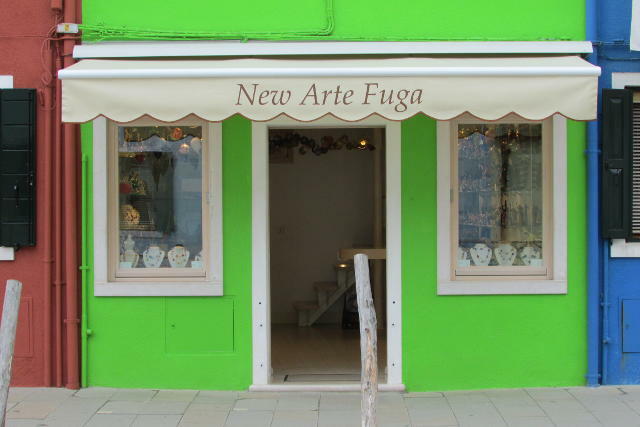 This name is due to the fact which this seawalls push out in the sea, narrowing the entrance of the Venetian Lagoon into which there is the harbour. On San Nicolò's seawall (East) and on Alberoni's one (West) the building of MOSE is in progress; MOSE is a system to protect Venice from high tides. The opportunities which Lido offers are various, from "arenili liberi" of S. Nicolò and Alberoni, characterized by the natural habitat of the ancient sand dunes, to the rocks of "Murazzi", up to the fancy and expensive beach plants on the middle of the island. The first beach plant goes back to 1857: it's called "Grande stabilimento balneario eretto sull'Onda viva del Mare". 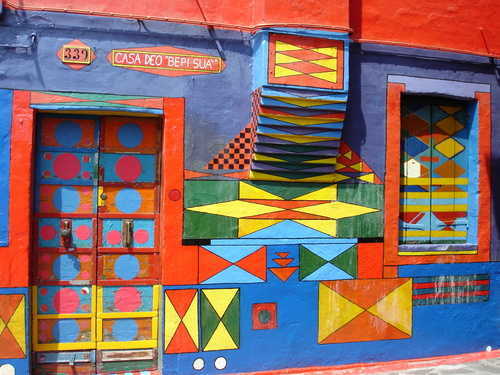 The downtown of Lido began to enliven of visitors, which bacame more and more numerous, tagging the island "Golden Island". But the "Capanna" (in eng. "hut") is the feature of Lido's beach. It's composed by a big cabin with veranda and by a tent and the all "Capanna" has the colors of its beach plant. The Cinema Festival of Venice takes places every year, between the end of August and the beginning of September, into the historical Palazzo del Cinema, situated on Lungomare Marconi at Venetian Lido. It's the older cinema festival in the world, in fact the first edition was celebrated in 1932. Come to 37th edition in 2006, the festival is placed into the more comprehensive background of Biennale di Venezia, a cultural festival including a contemporary art exposition. The first edition had place in concomitance with the 18th Biennale. The foremost award of the festival is the Leone d'Oro (in eng. "Golden Lion"), which portraies the lion of San Marco Church, simbol of Venice. This award is considered one of the most important by film rating, equal to the "Golden Palm of Cannes" and the "Golden Bear of Berlin". All awards always in countertrend with "American OSCAR", which usually take place in Spring. 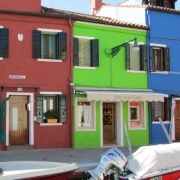 We hope to please suggesting some facilities such as hotels, inns and bed & breakfast in Lido of Venice in order to help you find accommodation or rooms in Lido of Venice or nearby. 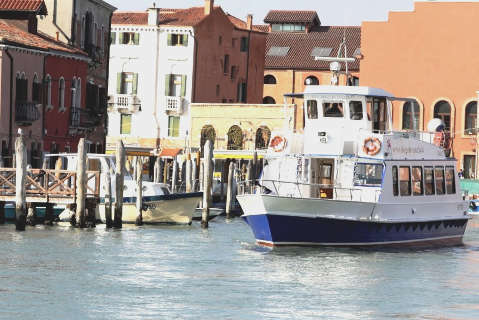 Try out our Lido of Venice accommodation deals finder. 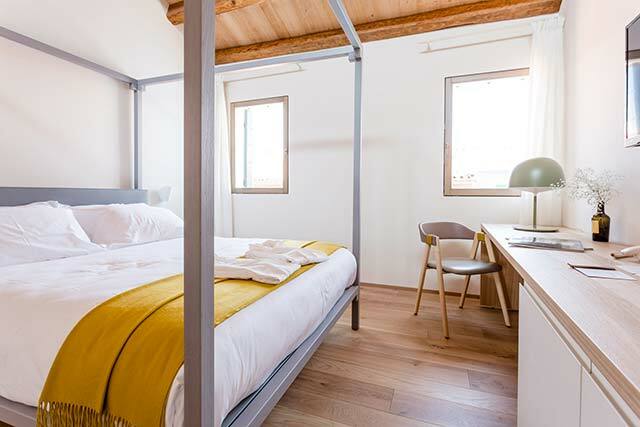 The Hotel Sorriso is a hotel with private beach in Venice Lido. It offers free private parking and bike rental. It's perfect for a beach holiday in Italy. Hotel Villa Mabapa, online reservation: you can book your room at the hotel "Hotel Villa Mabapa" by clicking on its name and visiting its own page. 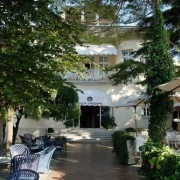 Hotel Villa Delle Palme, online reservation: you can book your room at the hotel "Hotel Villa Delle Palme" by clicking on its name and visiting its own page. 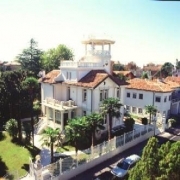 Villa Angelica is a completely restored house in liberty style dating from the beginning of the twentieth century and offers refined rooms in Venice Lido. Villa Angelica, online reservation: you can book your room at the Bed and Breakfast "Villa Angelica" by clicking on its name and visiting its own page.